A US court has recently ordered the manufacturer of the bestselling weedkiller brand, Roundup, to pay one user $80m (£61m) in damages after he developed cancer. This is the second such ruling from a US court. Now Councils across England are reviewing their use of Roundup (the brand name for glyphosate). 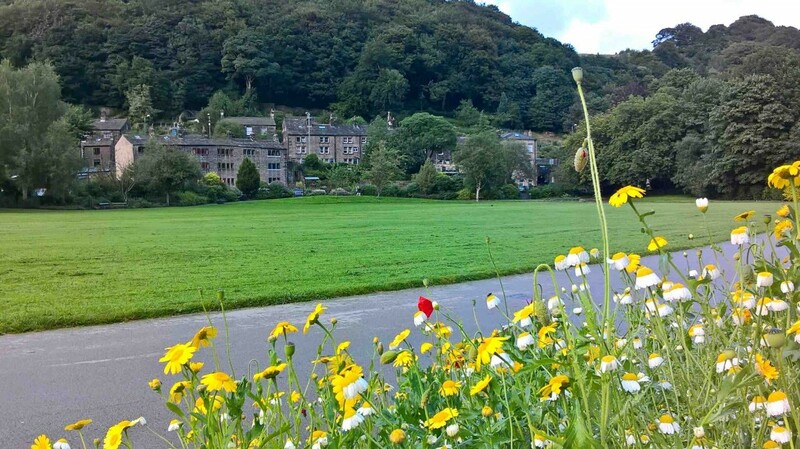 Hebden Royd Town Council decided a few years ago not to use glyphosate on any of its projects, according to the Clerk, Jason Boom. But Calder Ward Cllr Dave Young says that Calderdale Council is continuing to use gylophosate, although they are reducing the amount year on year. Info from Cllr Dave Young is that from 2019-2020 the plan is to hand dig out weeds at these sites. Why isn’t Calderdale Council using an eco-friendly, non-toxic weedkiller? Two years ago, Cllr Dave Young said the Council was looking for alternatives but hadn’t found anything as cost effective as glyphosate. This is a bit odd as a number of councils now use the eco-friendly, non-toxic Foamstream. With this information, Cllr Dave Young has now emailed Mark Dempsey, Calderdale Council’s parks and street scene support services manager, to ask if Calderdale Council has tried Foamstream. In 2016, Glastonbury Greens implemented what is thought to be the country’s first ban on chemical herbicides for use on council-owned areas, replacing them with Foamstream. You can see a video about it here. “Glyphosate is licensed for use in the UK and so the real issue is with the licensing system/national government, rather than users at a local level. We use it in accordance with the manufacturer’s instructions/industry guidelines, our operatives are fully trained and the Council’s Health and Safety Manager is content with the arrangements in place. In spring 2016, Council spraying operatives completed an extensive training review, covering the use of all pesticides and focussing specifically on glyphosate. We have listened to concerns and our aim is to reduce the amount used by 10% year on year, until 2021. We have already achieved a 10% reduction this year which was made possible by spot spraying as opposed to blanket spraying, using low volume nozzles and reducing spray bands. We are also actively researching alternative products but we have not yet found anything which is as cost-effective (this is not just about price – we would never put cost above the health of our communities, and particularly children – but is about whether it does what it’s meant to do, i.e. kills weeds effectively). We are in regular contact with other Councils, contractors who use alternative treatments, the Health & Safety Executive and the Chemicals Regulations Directorate (who confirmed on 29 June 2016 that the use of glyphosate within the EU has been extended for a further 18 months, until 31 December 2017). Of course we understand why people are concerned and we welcome dialogue about how we can continue to manage Calderdale’s public realm and green spaces in a safe and effective manner. This is one of the reasons why the Communities Scrutiny Panel has undertaken a detailed review of the use of pesticides and has already reported their findings to Cabinet. This entry was posted in Environment news and tagged Calderdale Council, cancer, Glyphosate, Hebden Royd Town Council, Roundup by jenny. Bookmark the permalink.